Adorable kid's linking game. 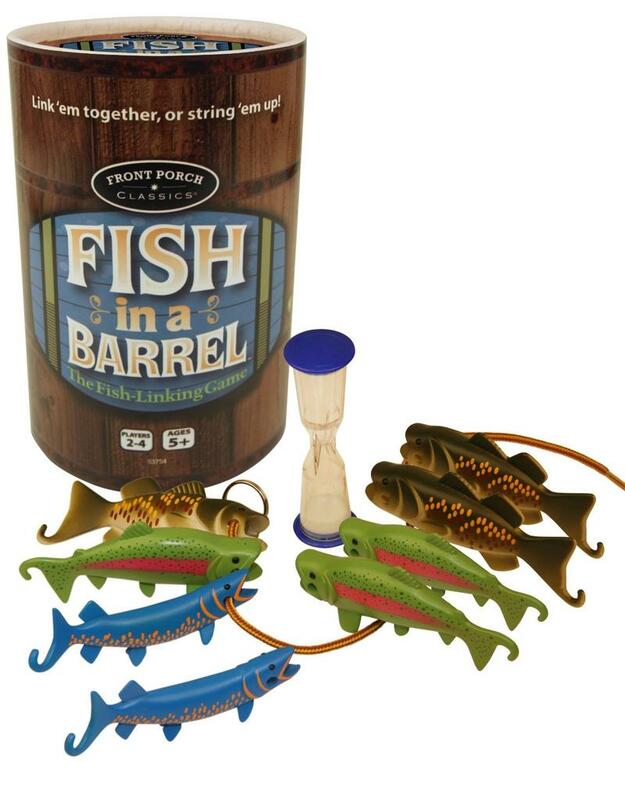 Randomly place all 8 fish on a flat surface.. .turn over the 60 second timer....grab a fish and link as many together as you can (tail-hook to mouth-hole) before the timer runs out. Earn one point for every fish you link and a bonus point if you link all fish species of the same type back-to-back (example, all bass one behind the other). The player with the most points wins the round and gets to string up their "catch" for show (stringer included).